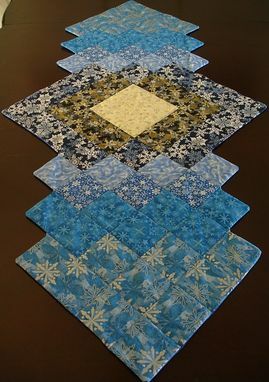 This runner is based on a pattern by Letitia Hutchings. It measures 30" wide at its widest point and 60" long. This runner is large enough to hold a holiday spread at a formal dining table, and is lovely laid over the edges of a smaller table of any shape. 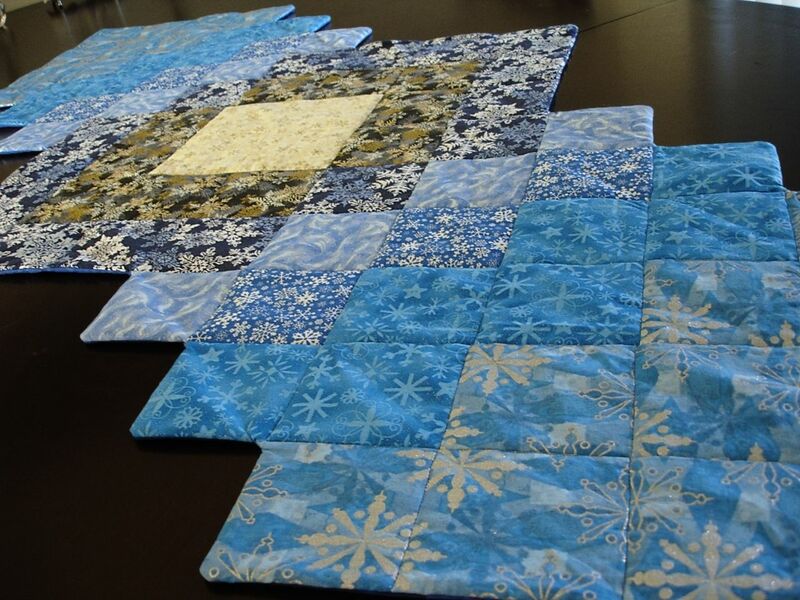 Machine pieced and machine quilted (stitch-in-the-ditch). 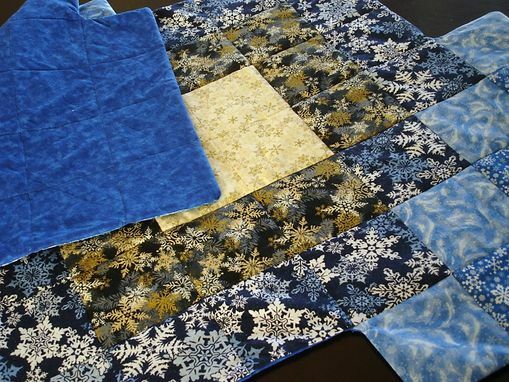 Top and back are 100% cotton quilter's grade fabric, and the batting is 100% cotton Warm and Natural. All fabric is pre-washed.